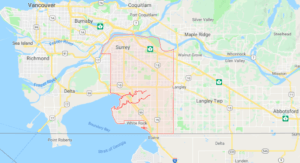 Secure Moving LTD as Surrey Movers, a registered and certified company, as one of the most professional and skilled teams in Surrey region and its neighbourhood is an established fully-equipped company that provides a secure and low-cost services for your area. We work hard to ensure a superior level of customer support to our clientele in Surrey region and help people with their small and big moves by using different truck sizes in Greater Vancouver and Lower Mainland area. Why hiring Secure Moving Ltd for your Move?